Mathew graduated from Aberystwyth University in 2009, completing his LPC in 2011 at the College of Law, Birmingham. Since graduating Mathew has been a welfare benefit adviser for a number of organisations including solicitors, local authorities, charities and housing associations. He carried out welfare benefit work under Legal Aid funding prior to LASPO, in addition to a number of benefit projects in Wales and London. 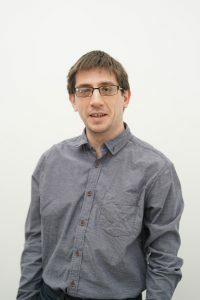 Mathew has worked in a number of areas where there multiple social economic problems inequalities including Pembrokeshire, Bristol, Southwark and now Bethal Green with the Legal Advice Centre. There are many "advice deserts" in the UK where it can be difficult to seek legal advice for free. At the same time there are hundreds of solicitors in the London area willing to give up their time and provide advice on a voluntary basis. We have evening drop in sessions at Bethnal Green where volunteer solicitors provide advice. The Legal Advice Centre also already provides Skype video advice to people living a Falmouth, Cornwall on weekly basis, and is proving popular. , We want to expand on the Skype project, creating and providing a video chat system and platform to allow volunteer legal advisers to log on to a system on a ad-hoc basis and provide advice to anywhere via a video chat. A similar system is already being used by the NHS and we want to create a similar system to expand the areas where social welfare law solicitors can reach, increasing how many people can be advised.